You’ve got two shots… make them count! 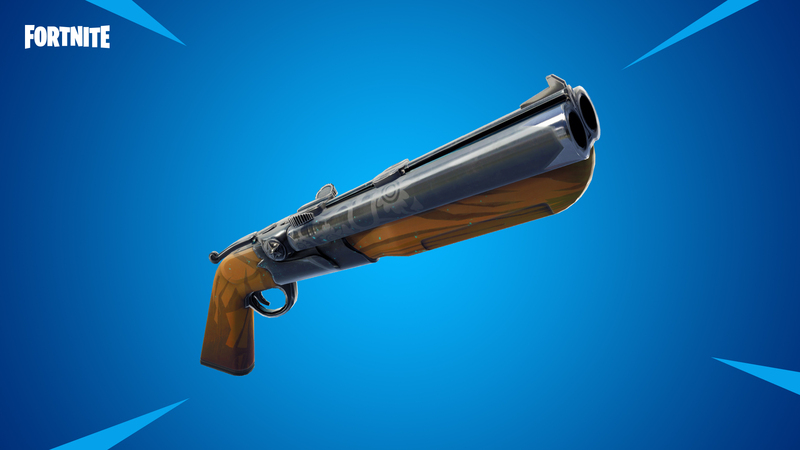 Deal massive damage at close range with the new Double Barrel Shotgun and outrun the Storm in the newest LTM for Battle Royale. Steady your aim and shake up your foes with the new Mythic Outlander, coming to Save the World. Devastating at close range, the Double Barrel Shotgun packs a punch with each of its 2 shots. This Storm waits for no player and there are no safe zones. Stay aware of the map and keep moving it to the center of the circle in the Steady Storm LTM. A new Mythic Outlander arrives with a ground shattering ability, Seismic Impact! Test your skills and earn lots of loot with weekly Horde Challenges. The remaining time left in the Item Shop and Event Store will now appear correctly in Battle Royale and in Save the World. Certain interactions will now interrupt reloading. Reset to Default will now properly reset keys to the default values. Changing input options will show a confirmation message if replacing a current input bind. Audio for automatic weapons no longer cuts out after tapping the fire button and then immediately pressing and holding the fire button. Fixed an issue that could cause multiple selection boxes to appear when using a controller. Reduced memory usage of internal object reference search systems. This will help prevent out of memory crashes. Non-English audio device names in the audio settings menu will now display correctly. Players using voice chat will no longer join the wrong channels when rapidly switching parties, join the wrong voice channels, or be unable to send or receive voice chat in most cases. The mouse cursor lock state in windowed mode will now function properly. Alt-tabbing will return mouse lock status. The ‘Sprint Cancels Reload’ option will now function properly with “Sprint by Default” enabled. Fixed some display issues with the interaction between the display resolution, 3D resolution, and video quality settings in the Options screen. The keyboard ‘key’ hotkey background has been updated to increase legibility. Party system is now more responsive to errors related to connection loss when sending certain party messages like kicking and promoting. Should reduce issues with managing party. Steady Storm has one constantly moving storm closing in on the island. Stay ahead of it and take down the other players to earn a Victory Royale! One Storm that closes in over the course of 15 minutes. There are no safe zone circles. Keep an eye on the map to predict where the Storm will close in. The Storm does 10 damage per second. Profile Stats (K/D & Wins) and Challenges are tracked in this mode. Can be found from floor loot, chests, Supply Drops, and Vending Machines. Delivers high burst damage at very close range but damage falls off heavily at distance. Fires 10 pellets like other Shotguns, has a larger spread, lower critical damage multiplier (1.25x), and a 2 second cooldown time when swapping weapons. Up to 143 base damage per shot at extreme close range. Up to 150 base damage per shot at extreme close range. Vending Machines spawn more often, cost less, and have an increased chance to spawn at a higher rarity. Spawn chance reduced from 7.27% to 6.67%. Material cost reduced from 100 to 75. Spawn chance increased from 14.55% to 20%. Material cost reduced from 200 to 150. Material cost reduced from 300 to 225. Spawn chance increased from 5.45% to 18.67%. Material cost reduced from 400 to 300. Spawn chance increased from 3.64% to 8%. Material cost reduced from 500 to 375. Reduced Remote Explosives drop count and max stack size. Drop count reduced from 4 to 3. Max stack size reduced from 10 to 6. Added a higher accuracy penalty to jumping and sprinting for Dual Pistols, Submachine Guns, and Hunting Rifles. Fixed an issue that would sometimes cause the storm in phase 6 to do 1 less damage than intended. Fixed replication issues caused by interacting with a Guided Missile. The weapon fire position now more closely follows the actual player position when crouching and un-crouching. Shooting while leaving the crouched stance will no longer fire bullets from full standing height until the animation is complete. Crouch does not interrupt emotes anymore and is disabled when emoting. Certain player models will no longer obstruct camera angles or block crosshairs on slopes. Fixed an issue where a wall would become invisible when destroyed on a client, but would still have some health on the server. The camera will no longer instantly transition when attempting to aim certain weapons while in midair. Trap selection will no longer unintentionally cycle when switching to available traps. Fixed an unintentional camera adjustment when entering and exiting targeting while transitioning in and out of crouch. Visual effects will now properly play when a vehicle impacts an environment prop. 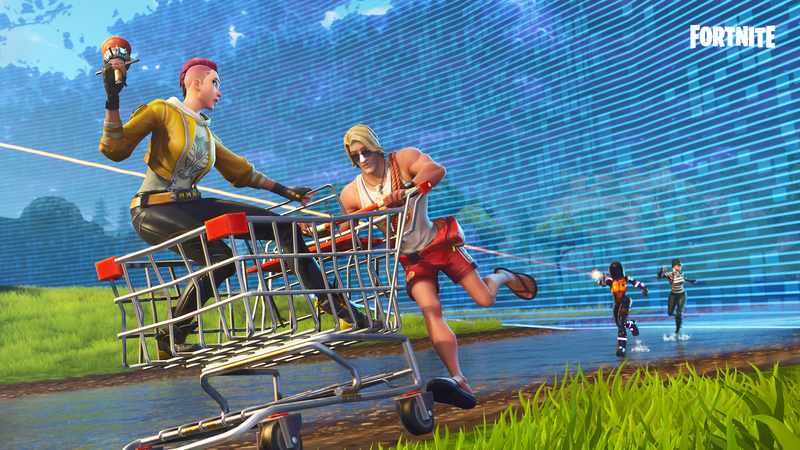 Fixed reliability issues when using a rocket launcher to boost shopping carts or the ATK. Fixed an occasional failure of glider deploying after exiting a Rift. Switching weapons after an emote will now play the correct weapon switch animation. Player placed map markers will no longer appear to jitter on the minimap or in the world. Optimized the way explosives modify buildings to lighten the load on dedicated servers. Building props have more efficient network usage when taking damage. Melee animation trails now use significantly less network traffic. Optimized C4 network usage, the impact sound no longer broadcasts to players outside a certain range. It now only plays for players that are close enough to the impact. Added new equip sounds to grenades. Add the ability to honk while driving the ATK. Lowered the volume of impact sounds when harvesting vehicles. Added audio effects for when spectating squadmates leave the match. In the Locker menu, glider audio will fade out when it’s unselected. Thermal Scoped Assault Rifle scope-in sounds are no longer hard-panned to the left on Switch. Audio for the rocket incoming sound will now properly play during close range fights. Ambient audio loops will no longer stack on each other and play at once. This was creating a sound phasing issue that sounded similar to a “fighter jet”. Footsteps will no longer sound uneven for players outside your field of view. Players will no longer hear ‘ghost footsteps’ after eliminating an enemy. The Challenges menu can now be opened in-game. Additionally, Daily and Suggested Challenges have been added to the in-game map screen. Modified the Battle Royale Challenges screen to display the remaining challenge bundle unlock time as a countdown once it is less than 13 hours away. Show off your skills in the elimination feed when you land a trick in All Terrain Karts. Fixed an issue with the buttons at the top of the Outfit style selection screen overlapping with the draggable window title bar area. 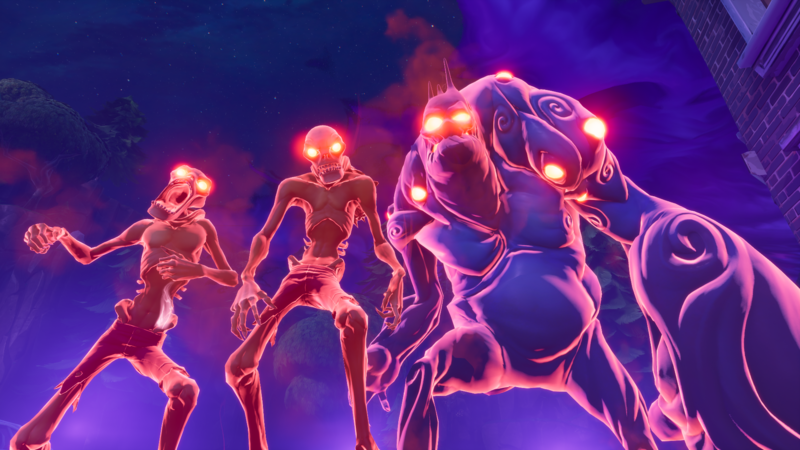 Eliminations at Haunted Hills Challenge will now display as hard. Players who have unlocked the ability to select color styles for the Carbide and Omega Outfits will no longer randomly become locked out of that option. The ‘Toggle Favorite’ option no longer shows when selecting styles. The Build Bar no longer stays active if it was active on the warmup island. Quest updates and vehicle key hints no longer overlap on the HUD. Punctuation in the Challenge descriptions has been corrected. Fixed clipping on the Item Return screen for systems with aggressive Safe Zone settings. Changing setting while inside the Battle Bus will no longer bring up the full HUD earlier than intended. The HUD will now show the vehicle currently being driven rather than the one that was driven last. Updated the effect of lighting on character models. Added equip and holding animations for all grenades. The size of the Soccer ball in the juggling emote has been fixed. Leaning while on All Terrain Karts no longer cancels emotes. Player models will no longer appear twisted while controlling the Guided Missile. Cameras no longer get stuck in a bad state while following the Battle Bus. Rapidly skipping through a replay on non-desktop platforms no longer causes a crash. The players remaining counter for the 50v50 LTM now appears properly when viewing replays. The damage numbers toggle in replays now works properly. Damage numbers now properly appear on the final elimination during replays. Player list on the Map screen now works correctly using a gamepad. Health and shield bars on map screen player list now display correctly. Customizable fire mode selection screen added to mix and match fire modes. Added FPS (frames per second) mode setting for mobile devices. Added another individual quickbar button to the HUD layout tool. Separated Quickbar buttons are more visible in the HUD Layout tool. Harvest tool will now alternate between itself and the previously selected item when tapped. Completed or expired Challenges are now cleared while navigating between Challenges. Ramps will no longer be built through other ramps. Shooting when interacting with objects no longer occurs. Fixed inconsistency with mobile low power mode support. Read Save The World patch notes here. Experiencing issues updating, logging in or crashing in Fortnite? Reach out here. 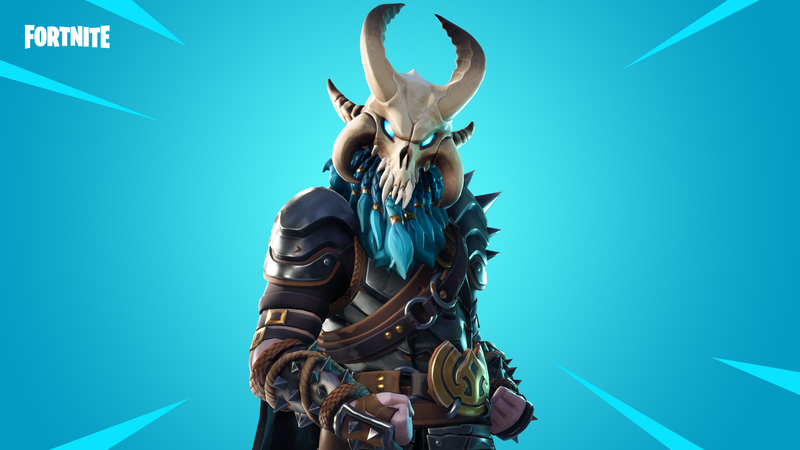 Downtime for the v5.20 update has begun.